These cute little blue salt and pepper shakers are for everyday use. 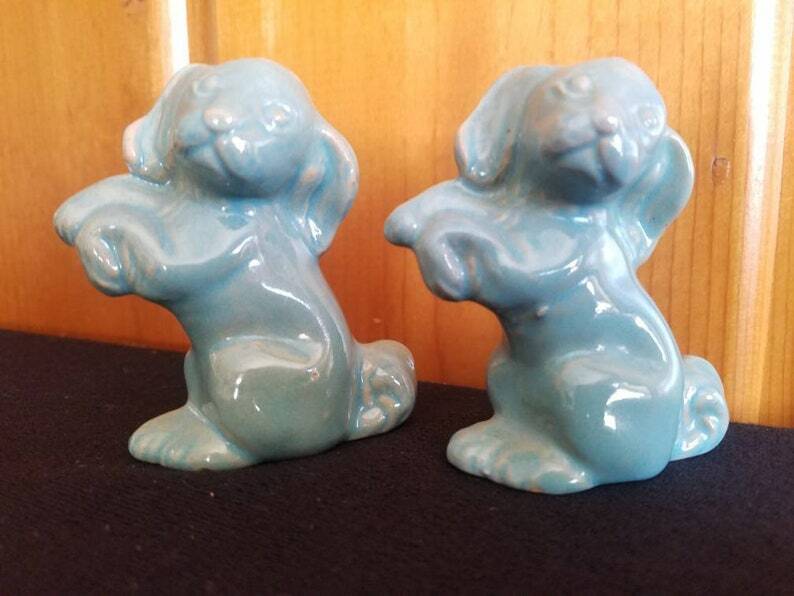 Cute baby blue colored begging dog salt and pepper shaker set. Two adorable digs sitting upright look like they could be cocker spaniels. They are in good usable vintage condition. Tabby cat in a window The Boot's Court Cat in a Window 16 x 20" canvas painting original Oil painting by Chrissy Mount Kapp framed in black.